The large granite island countertop creates a dedicated space for food preparation as well as for baking. 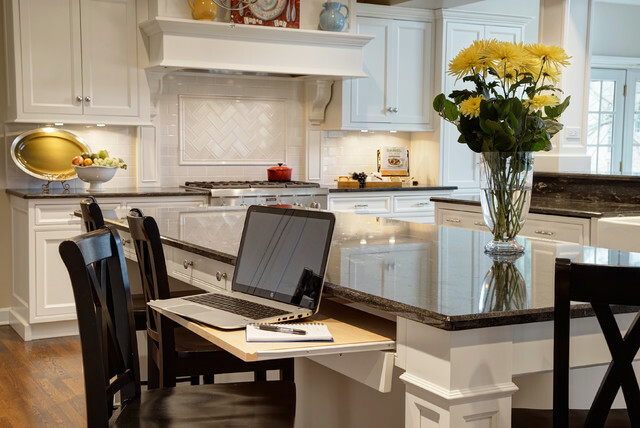 Custom pull-out drawers were incorporated into the island as a place for laptop storage. A unique backsplash above the range was designed with 3” x 6” field tile, outlined by a liner bar, to draw the eyes attention to the custom Grabill hood.